The Harry Ransom Center recently acquired the papers of the late G. V. Desani, longtime professor of philosophy at The University of Texas at Austin. Included is the original manuscript of his most important work, the eccentric novel All About H. Hatterr, along with a collection of various printed editions. Desani was born in Kenya and brought up in India, and by the age of thirteen was considered so brilliant as to be unteachable. His formal education came to an abrupt end, leading him to set off for Africa and later England. A series of migrations led him back to India, where he was a journalist and reviewer, then to Britain, and finally to Austin in 1968. Students found his courses on Indian philosophy inspirational. According to colleagues, he not only believed in personal reincarnation but knew exactly who he had been in his former life: a police officer in south India. 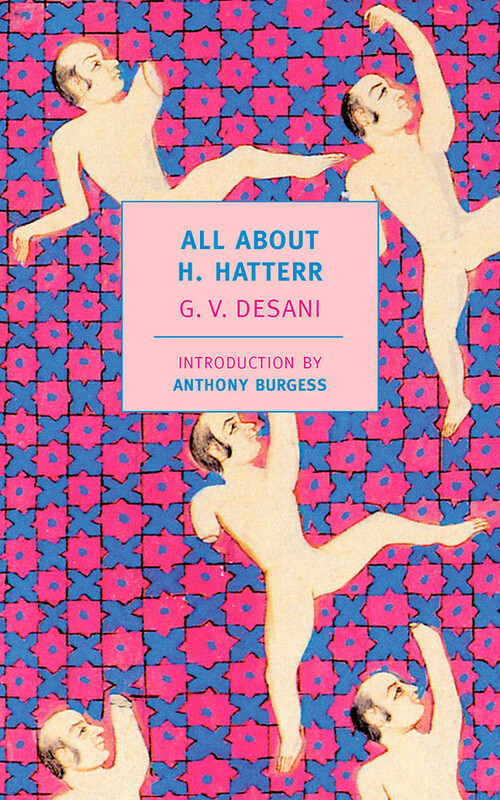 Cover of new edition of All About H. Hatterr by G. V. Desani. According to Salman Rushdie, “Hatterr’s dazzling, puzzling, leaping prose is the first genuine effort to go beyond the Englishness of the English language.” Hatterr has been out of print for some time, but this modernist classic is about to take on a brand new life in October as a selection of the New York Review of Books Press. Its republication fittingly coincides with the Center’s acquisition of the Desani archive.